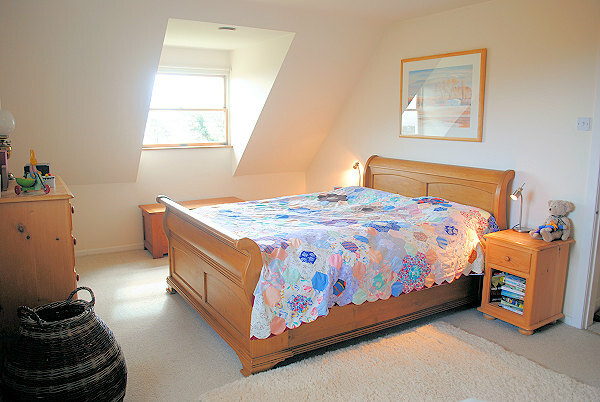 The upstairs bedrooms are fully carpeted and overlook the garden and surrounding fields. Window seats have been added to let you make the most of the view, and hand-built furniture and local art lend a special touch. 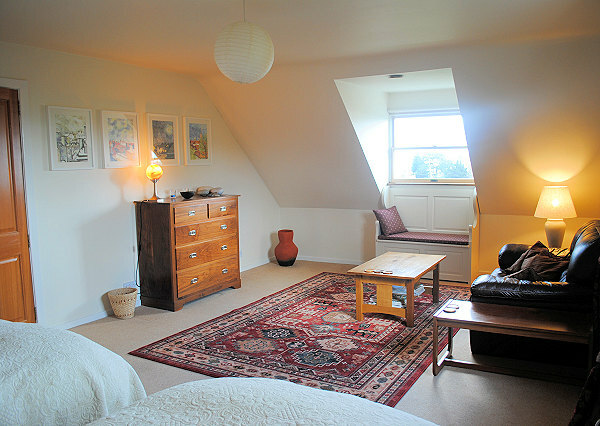 On a cloudy day the small single bedroom is perfect for a lie-in with a good book listening to the patter of rain. The bathroom has a bath and shower, and there’s a bookcase full of paperbacks which you are welcome to enjoy.